The Pacsafe Gadget Pouch is an attachable pouch for carrying a phone sunglasses and small accessories. The pouch can be clipped-on on the strap of your Pacsafe Backpack, with velcro for added stability. It also comes with RFID blocking internal pockets that secures your accessories from theft. It has full zip closure keeping your gadget safely packed in the pouch. This gadget pouch delivers comfort and security whether you are in a crowded city or on a long journey in the unknown. 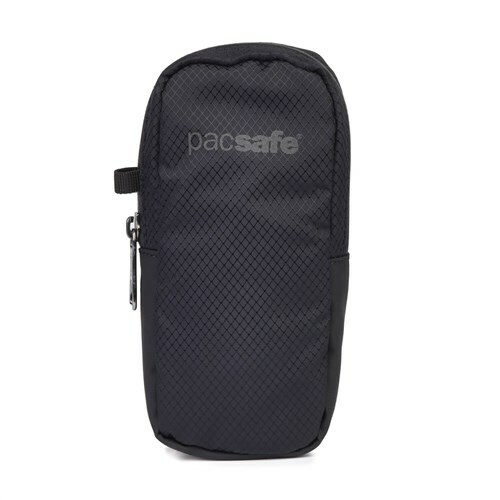 The Pacsafe Gadget Pouch - Black has many exciting features for users of all types. See the Pacsafe Gadget Pouch - Black gallery images above for more product views. 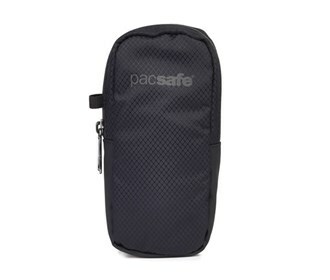 The Pacsafe Gadget Pouch - Black is sold as a Brand New Unopened Item.